In a telling tale of the times, remittances to Pakistan from Saudi Arabia dropped 5.8 percent over the last seven months while cheaper and better trained Indians and Bangladeshis have begun to replace Pakistani manpower. Moreover, Saudi Arabia has deported 39,000 Pakistanis since October as part of its crackdown on militants. 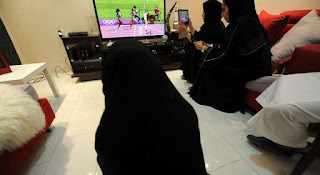 Ms. Malik moved with her parents to Saudi Arabia when she was a toddler to escape sectarian skirmishes and family disputes. In the kingdom, the family turned its back on its Sufi and Barelvi traditions that included visiting shrines, honouring saints and enjoying Sufi trance music, practices rejected by the kingdom's austere Wahhabi form of Islam‎. The change sparked tensions with relatives in Pakistan, whom the Maliks accused in Wahhabi fashion of rejecting the oneness of God by revering saints. Pakistani Shiite leaders as well as some Sunni politicians have warned that General Raheel’s appointment would put an end to Pakistan’s ability to walk a fine line between Saudi Arabia and Iran. It could raise the stakes in Balochistan, the province bordering Iran where separatists are agitating for independence and China has invested billions of dollars as part of its One Belt, One Road initiative. in the kingdom, for our allies in the Gulf and for any country in the world… So, until and unless Iran changes its behaviour, and changes its outlook, and changes the principles upon which the Iranian state is based, it will be very difficult to deal with a country like this.,” Mr. Al-Jubeir said. In contrast to Mr. Zarif’s assertion, the Iranian concession followed a decision by the Federation Internationale de Volleyball (FIVB) to dump its quiet diplomacy approach towards Iran and revert to public pressure. The FIVB threatened on the eve of the Kish tournament to suspend the event if Iran failed to grant women spectators access. Iran alongside Saudi Arabia is the only country that bars women spectators from attending men’s sporting events. "From now on women can watch beach volleyball matches in Kish if they observe Islamic rules," said Kasra Ghafouri, acting director of Iran's Beach Volleyball Organisation. 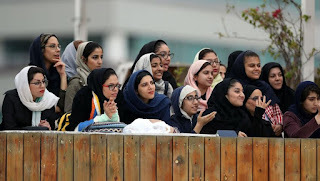 Rather than demonstrating sincerity by following through on its threat, the FIVB said it would not sanction the Islamic republic because gender segregation was culturally so deep-seated that a boycott would not produce results. Instead, the federation argued that engagement held out more promise. The decision flew in the face of the facts. Gender segregation in volleyball in Iran was only introduced in 2012, 33 years after Islamic revolutionaries toppled the Shah. Senior volleyball executives said at the time that the FIVB feared that a boycott would put significant revenues at risk. 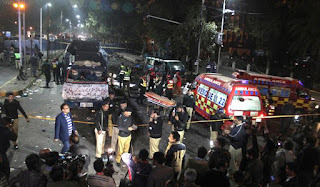 This week’s suicide bombing of a popular Sufi shrine is the latest operation of a recently formed alliance of militant jihadist and sectarian groups that includes the Islamic State (IS) and organizations associated with the Pakistani Taliban, according to Pakistani counterterrorism officials. The bombing of the shrine of Sufi saint Lal Shahbaz Qalandar in the southern Pakistani town of Sehwan in Sindh province by a female suicide bomber that killed 83 people, including 20 children, was the alliance’s 9th attack this week. The grouping earlier this week targeted the Punjabi parliament, military outposts, a Samaa TV crew, and a provincial police station. The alliance represents a joining of forces by Pakistani and Afghan jihadists and groups who trace their origins to sectarian organizations that have deep social roots. The alliance’s declared aim is to challenge the state at a time that Pakistan is under external pressure to clean-up its counterterrorism act. A recent Pakistani crackdown on militants has been selective, half-hearted, and largely ineffective. The Pakistani military and foreign office this week twice summoned Afghan embassy officials in response to the campaign of violence to protest the alleged use of Afghan territory for attacks in Pakistan and demand that Afghanistan either act against 76 militants identified by Pakistani intelligence or hand them over to Pakistani authorities. 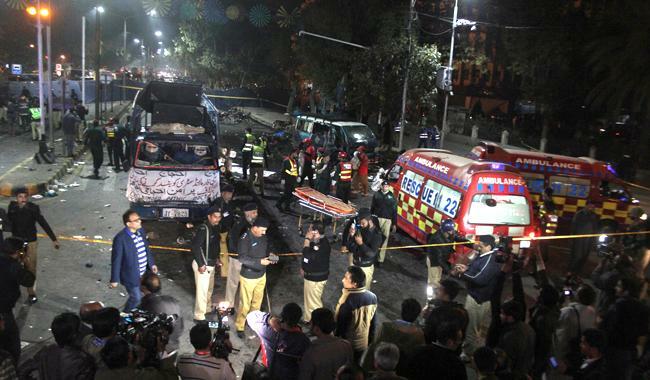 Punjab Chief Minister Shahbaz Sharif asserted that the attack on parliament had been planned in Afghanistan. Pakistan on Friday closed its border with Afghanistan. Pakistani forces also launched a nation-wide sweep in search of members of the alliance in which as of this writing some 100 people were killed. Counterterrorism officials said the alliance of eight organizations formed late last year included IS, the Pakistani Taliban and some of its associates, Lashkar-e-Jhangvi al-Alami (LJA), Jamaat-ul-Ahrar (JuA), and Jundallah. Members of the alliance have demonstrated their ability to wreak havoc long before they decided to join forces. Jamaat-ul-Ahrar claimed responsibility for a December 2014 attack on a public military school in which 141 people, including 132 school children, were killed. 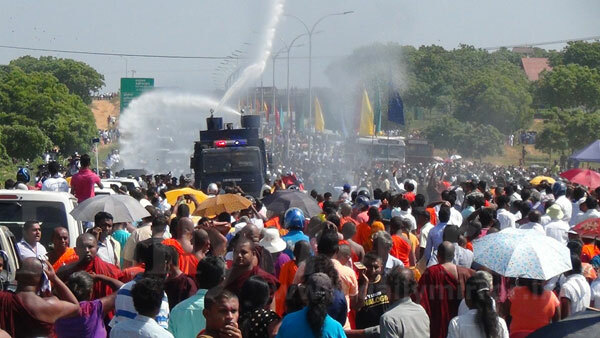 The attack sparked public outrage and forced the government to announce a national action plan to crack down on militants and political violence. The plan has so far proven to be a paper tiger. The bombings and killings did little to persuade Pakistan’s security establishment that long-standing military and intelligence support for groups that did the country’s geopolitical bidding in Kashmir and Afghanistan as well as for sectarian and ultra-conservative organizations and religious schools that often also benefitted from Saudi funding was backfiring. The support has allowed some of these groups to garner popular support and make significant inroads into branches of the state. “The enemy within is not a fringe... Large sections of society sympathize with these groups. They fund them, directly and indirectly. They provide them recruits. They reject the Constitution and the system. They don’t just live in the ‘bad lands’ but could be our neighbours. The forces have not only to operate in areas in the periphery, along the Pakistan-Afghanistan border, but have also to operate in the cities where hundreds, perhaps thousands form sleeper cells, awaiting orders or planning to strike,” said Pakistani columnist Ejaz Haider in a commentary. Credible Pakistani media reports, denied by the government as well as the military, said that the attacks had brought out sharp differences between various branches of government and the state over attitudes towards the militants during a meeting last year of civilian, military and intelligence leaders. Prime Minister Nawaz Sharif and Foreign Minister were reported to have told military and intelligence commanders that Pakistan risked international isolation because of its failure to enforce the national action plan. There is little indication that the formation of the alliance and the launch of its violent campaign will spark a fundamental re-think of its longstanding differentiation between militant groups that do its geopolitical bidding in Afghanistan and Kashmir and those that target the Pakistani state. 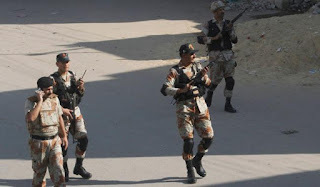 Pakistan’s refusal despite the crackdown in the wake of the most recent attacks to put an end to its selective countering of political violence was evident in an earlier crackdown on groups that are believed to have close ties to the security establishment. 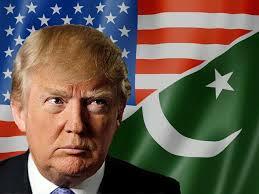 Pakistan, in a bid to prevent a possible inclusion of Pakistan in a re-working by President Donald J. Trump of his troubled ban on travel to the United States from violence-prone Muslim countries with active jihadist groups and pre-empt sanctions by a Bangkok-based Asian money laundering watchdog, last month put leaders of another internationally designated group under house arrest. The Financial Action Task Force (FATF), a global inter-governmental body that combats money laundering and funding of political violence is expected to discuss Pakistan in the coming days at a meeting in Paris. 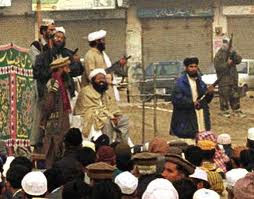 The government, in addition to treating the leaders of Jamaat-ud-Dawa (JuD), widely seen as a front for Lashkar-e-Tayyaba, with kid’s gloves rather than putting them in prison, has so far remained silent about the group’s intention to resume operations under a new name. The government has also said nothing about the group’s plans to register itself as a political party. Analysts with close ties to the military have argued that simply banning JuD and seizing its assets would not solve the problem because of the group’s widespread popular support. Some analysts draw a comparison to militant Islamist groups in the Middle East such as the Muslim Brotherhood and Hezbollah in Lebanon that have garnered popular support by functioning both as political parties and social service organizations. 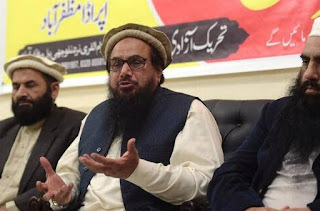 Muhammad Hafez Saeed, the recently detained UN and US-designated global terrorist and one of the world’s most wanted men, plans to register his group, Jama’at-ud-Dawa (JuD), widely seen as a front for another proscribed organization, Lashkar-e-Taiba (LeT), as a political party in Pakistan, according to sources close to the militant. The move comes days after Mr. Saeed and several other JuD leaders were put under house arrest in a bid to fend off potential steps against Pakistan, including inclusion on President Donald J. Trump’s list of countries whose nationals are temporarily banned from travel to the United States, and punitive steps by an Asian money laundering watchdog. In a further effort to fend off pressure, Pakistan’s State Bank, the country’s monetary authority said it had installed a long overdue automated system to detect money laundering and terrorism financing. The announcement followed last year’s freezing by the bank of the accounts of 2,000 militants – a move described by both analysts and militants as ineffective because those accounts were not where militants keep their assets. Meanwhile, the State Department, in a hint of a possibly tougher line towards Pakistan. refused in recent days to issue a visa to Maulana Abdul Ghafoor Haideri, an Islamic scholar who is deputy chairman of Pakistan’s Senate and a member of parliament for Jama’at-i-Islami (F), a political party with close ties to the Taliban. Mr. Haideri was scheduled to travel to New York to attend a meeting of the International Parliamentary Union (IPU) at the headquarters of the United Nations. In response, Senate Chairman Raza Rabbani announced that the Pakistani parliamentary body would ban its members from travelling to the US unless it received an explanation for the refusal. The US embassy in Islamabad has so far refrained from explaining the decision. JuD sources said its transition to a political party was in part designed to stop cadres from joining the Islamic State (IS). They said some 500 JuD activists had left the group to join more militant organizations, including IS. They said the defections often occurred after the Pakistani military launches operations against militants in areas like South Waziristan. Writing in Dawn, Pakistani security analyst Muhammad Amir Rana argued in favour of allowing JuD to transition into a political party. A “major challenge for the state is how to neutralise groups that once served its strategic purpose. The most practised way in a post-insurgency perspective is to reintegrate them into mainstream society,” Mr. Rana wrote. “The state can freeze their assets, shut down their charity and organisational operations, put their leaderships under different schedules of anti-terrorism laws, try their leaders in courts of law, and, in the worst case, strip them of their nationality. But will this eliminate the problem?” Mr. Rana added. JuD’s application, which since Mr. Saeed’s arrest has suggested that it would be operating under a new name, Tehreek-e-Azadi-e-Kashmir (Kashmir Freedom Movement), a practice frequently adopted by militant groups with government acquiescence, would however in the minds of Western officials and analysts and some Pakistanis test the sincerity of a recent Pakistani government crackdown on militants. JuD is believed to have close ties to the Pakistani military and intelligence. A JuD leader said the group would register with the Election Commission of Pakistan (ECP) under its own name rather than under a new one. Mr. Saeed is believed to be among others responsible for the 2008 attacks on 12 targets in Mumbai, including the Taj Mahal Hotel, a train station, a café and a Jewish centre. Some 164 people were killed and more than 300 wounded. The US government has a bounty of $10 million on Mr. Saeed for information leading to his capture. Mr. Saeed, who was once a LeT leader, has since disassociated himself from the group and denied any link between JuD and LeT. A JuD leader said that the group might wait with registration with the ECP and let the current focus on the group fade away. “We have decided to go in the politics. However, we’ll let the current phase evolve after having been put on the government’s watch list before registering,” the leader said. JuD sources said the decision to go into politics and register with the ECP was taken days before last month’s crackdown on the group. Some analysts believe that JuD would have to get a court order to be allowed to register given that its designation by the United Nations and the United States bans it from conducting business as normal, including performing financial transactions. ECP registration requires providing audited accounts. JuD sources said the group has $19 million in assets that were in accounts of local officials of the group in various districts in the country. JuD is believed to be the largest militant group in Pakistan. General John Nicholson, the commander of US forces in Afghanistan, told Congress last week that 20 of the 98 groups designated by the United States as well as “three violent, extremist organizations” operate in Afghanistan and Pakistan. "That is highest concentration of violent, extremist groups in the world,” Gen. Nicholson said. Gen. Johnson was speaking amid mounting pressure on the Trump administration to adopt a tougher position towards Pakistani support of militants from a chorus of voices that include the military, members of Congress from both sides of the aisle, and influential Washington-based think tanks. “JuD is the biggest non-state actor in Pakistan. It has the largest infrastructure in the country,” Mr. Rana said in an interview. JuD is believed to have 100 offices across Pakistan. A JuD leader said the group had trained more than two million cadres and employs 12,000 people.